A really nifty event is going to take place this Friday in the historic County community of Dancyville. Dancyville one of the oldest settlements in West Tennessee, was first settled in the 1820s, and in 1841 a little bit of Tennessee history happened there. That's what the celebration this Friday is about. 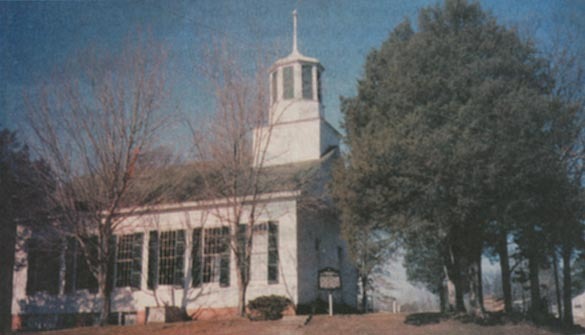 It was in that year that Tennessee's first gubernatorial debates took place, and one of them was held in Dancyville on June 23, 1841. 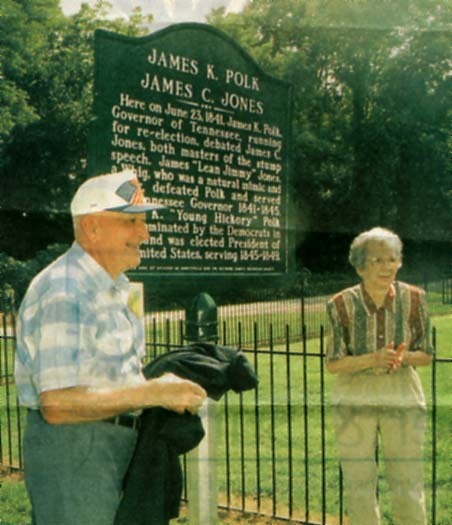 The contestants were the incumbent governor and future president, James K. Polk, and a young one-term legislator named James Chamberlain Jones. During their campaign the two staged a series of debates that changed politics in Tennessee, and possibly in America as well, forever. Their series of debates that year is thought to be the origin of modern American "stump" speaking, and it was about the most entertaining thing ever to happen in Tennessee up till then. The two candidates were opposites in about every way. Polk was cultured, splendidly schooled, and was considered to be such a great speaker, even though somewhat long winded, that he had been dubbed "the Napoleon of the Stump." A protegee of Andrew Jackson, he was sometimes referred to as "Young Hickory." Before being elected governor in 1839 he had been elected to Congress seven consecutive terms and was highly respected in Washington. Highly educated, but formal, stiff and humorless in demeanor, he was no match at all for his opponent, James Chamberlain Jones, at 32, the youngest man ever elected governor of Tennessee. A tall, thin, uneducated politician who was running under the Whig political party banner, he stood over six feet tall but weighed only 125 pounds. Because of that, his adversaries dubbed the young man "Lean Jimmy" Jones, and Lean Jimmy he became. In addition to being very, very thin, Jones is said to have been a comedian, and instead of discussing the issues, as did staid, stolid Governor Polk, Jones cracked one joke and wisecrack after another, in the tradition of another great Whig politician, the recently martyred David Crockett, and the crowds loved Jones. As the campaign wore on, the crowds became larger and larger. Polk, of course, was a Democrat and a disciple of Andrew Jackson; Jones was a Whig. The Whig party had been founded partly in opposition to Jackson, and they and the Democrats were bitter enemies in Tennessee in the 1840s. From 1836 to 1852 there were nine gubernatorial elections; six went to the Whigs, three to the Democrats, but no candidate ever got more than a little over 51 percent of the vote. So strong was the Whig party in Tennessee that in 1844, when Polk was elected president, he lost his home state, Tennessee, by 267 votes. 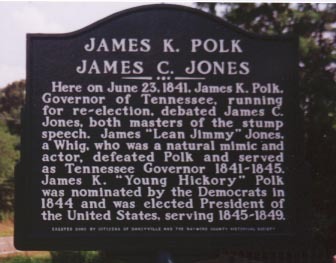 He also lost the governor's race in 1841, the year of the Dancyville debate, and Lean Jimmy Jones became both the youngest man ever elected governor of the state and the first native-born Tennessean to be elected as well. 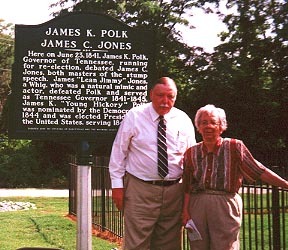 Two years later the two canvassed the state again, and again Jones' campaign consisted of mimicry, wisecracks and joke telling, and again the crowds chose him. Jones was sworn in for his second term as governor in a suit made entirely of Tennessee silk. Silk culture was all the rage at the time, and many farmers dreaming of a Tennessee silk empire to rival that of the orient. 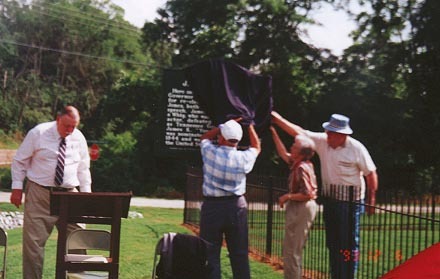 Jones supported a law encouraging Tennessee farmers to produce silk worm cocoons, and newspapers - and the governor - urged people to fill the countryside with mulberry trees upon which the silk worms could feed. The fad didn't last, however, and Jones is remembered for little more than his name and his being the man that defeated Polk twice, something his national Whig counterparts couldn't do. As for Polk, bitterly disappointed, and humiliated by his two Tennessee defeats, he decided to try to get the Democratic nomination for vice-president in 1844. A divided convention nominated Polk for the presidency on the ninth ballot, however, and one writer, describing the event, used the term "dark horse" to describe Polk's emergence from the pack. Thus an American political term was coined. So Polk, the 11th governor of Tennessee, became the 11th president of the United States. At 49, he was the youngest man ever to be elected president (up till that time), and he went on to becomes one of the nation's best presidents, maybe the only president to have kept every one of his campaign promises. But in June of 1841 he was just another Tennessee politician on the hustings in West Tennessee. Who in the crowd that day in Dancyville would have thought that a future American president was standing among them? Who could have guessed? Polk was on his way that afternoon in Dancyville to a humiliating defeat, one that would, however, lead him ultimately to the White House and historical fame. Jones, the winner of the debates, and the 1841 governor's election, became little more than a footnote. And as they say, it's often hard to recognize the good luck from the bad when it happens. Documents and Photographs (marked*), for this page, provided by Mary Kay Dancy Smith.